Every Tuesday should be Taco Tuesday and we LOVE our healthy tacos. Anything Mexican is normally a hit in our house. Combine the scallops, olive oil, black pepper, and 1/2 teaspoon of the salt in a large bowl until scallops are evenly coated; chill until ready to use. Grill the corn, green onions, and jalapeños over medium heat for 5 to 7 minutes. Stir in cilantro, lime juice, and 1/2 teaspoon of the salt. In a separate bowl mash avocado and remaining salt until smooth. Grill scallops 2 minutes on each side. Remove from heat. 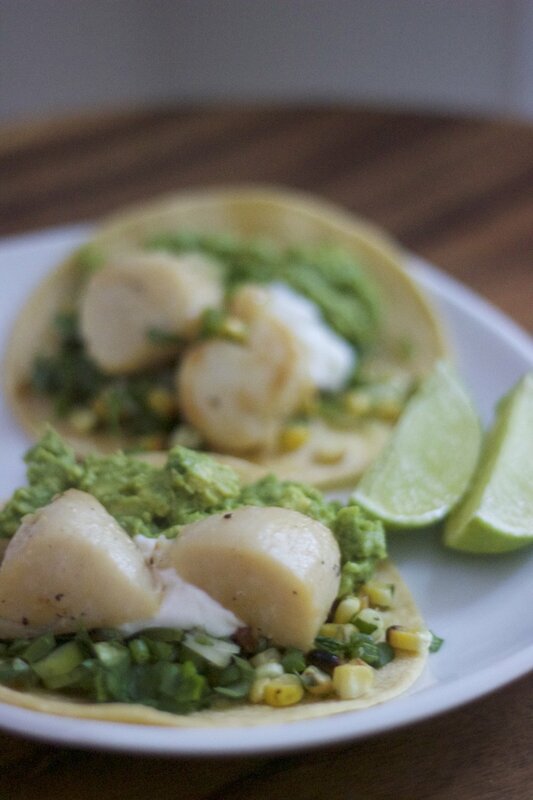 Spread each warm corn tortilla with avocado mixture; top with 4 or 5 grilled scallops and a spoonful of corn pico.